Synonymous with glamour, grit and ambition, New York has long been the premier destination for discerning travelers. The finest dining, Broadway, the Museum Mile, haute couture fashion and some of the world's best shopping will fill your days and nights with the kind of excitement that can only be found in this world capital. Start your visit by soaking in some culture -- a mile's worth. The Museum Mile runs along Fifth Avenue and features nine of the country's finest museums. El Museo del Barrio, Museum of the City of New York, The Jewish Museum, Cooper Hewitt Design Museum, National Academy Museum and School of Fine Arts, The Guggenheim, Neue Galerie New York, Goethe Institut/German Cultural Center and the Metropolitan Museum of Art can all be visited along this famous stretch of street. During the Museum Mile Festival, held each June, the collective holds a block party welcoming thousands of visitors from around the world. Before you decide what to visit next, take in the whole city from a bird's eye view. A helicopter tour can show you the Statue of Liberty, the Wall Street Financial Center, Ellis and Governors Island, South Street Seaport, the Brooklyn Bridge, Yankee Stadium, the midtown skyscrapers and Central Park from a perspective you've never before experienced. Experience the beauty of nature in the middle of this gothic city by taking a stroll through the world famous New York Botanical Gardens. The Enid A. Haupt Conservatory, Peggy Rockefeller Rose Garden, Jane Watson Irwin Perennial Garden and Nancy Bryan Luce Herb Garden share the center with gardens of tulips, orchids, daylilies, flowering cherries, decorative conifers and other dazzling flora. Plan a picnic or even a large event, like a family party or wedding in this beautiful and peaceful setting. New York's Broadway is home to the most prestigious professional theater in the English-speaking world. There are 39 theaters with over 500 seats each located in the Theater District. Catch an evening show at any theater Tuesday through Saturday at 8 PM or a matinee on Wednesday, Saturday and Sunday at 2 PM or 3 PM -- check with your theater of choice. Most theaters are dark, or closed, on Mondays. Long-running shows include Chicago, Wicked, Phantom of the Opera, The Lion King, RENT, Hairspray, Mamma Mia! And The Color Purple. There's more to entertainment in New York than Broadway, though. Off- and Off-Off-Broadway offerings tend to be less mainstream and more provocative. Many productions that are now incredibly popular started Off Broadway, including Stomp!, Blue Man Group, Godspell, Avenue Q and The Fantasticks. Off-Off-Braodway is "indie theater" and visitors can expect a unique experience at these productions. Another landmark not to be missed is Rockefeller Center. Winter visitors will be greeted by the sight of New York's official Christmas tree -- and maybe even a glimpse of the New York City Fire Department changing burnt-out tree bulbs, as they are the only city group with ladders high enough to reach the top branches. Then have a spin on the famous ice rink, featured in countless films and television shows. Rockefeller Center also features famed rooftop gardens, Art Deco architecture, television studios and Radio City Music Hall, home of The Rockettes, the Tony Awards and The Daytime Emmys. Catch a taping of Late Night with David Letterman or Saturday Night Live. From April through September, The Today Show hosts a morning concert series on its Rockefeller Center outdoor stage. The stunning architecture and artisanship of St. Patrick's Cathedral will leave you speechless, regardless of your religious affiliation. The largest decorated Gothic-style Catholic cathedral in the United States, this historic building is also home to some of the most beautiful music you will hear in the city. There are non-mass concert series for both the choir and the 150-rank Kilgen organ. The Julliard School, Metropolitan Opera, New York City Ballet, New York City Philharmonic Orchestra, and School of American Ballet all call Lincoln Center their home. Catch a wide variety of extraordinary dance, theater, music and opera from around the world. New York has a large and varied selection of destination club homes and private residence clubs that give the discerning traveler a home-away-from-home. Enjoy breathtaking views from a 25th floor suite in the Lusso Collection Penthouse 4D. Relax in style in the Hirsch Bedner designed 2-bedroom suite of Ultimate Resort New York. Urban luxury awaits you in a 46th floor corner suite at Quintess New York Palace , mere steps away from Rockefeller Center and St. Patrick's Cathedral. Walk to the New York Public Library, Bryant Park and the Broadway Theater District from your home at Quintess Midtown Michael Graves Building, featuring river-to-river views. The ultramodern Solstice New York homes also provide views of the Hudson River and the nearby park. Placing you in the heart of the city, Private Escapes 1600 Broadway Penthouse brings visitors into Times Square and Rockefeller Center with a rooftop observatory and terrace. 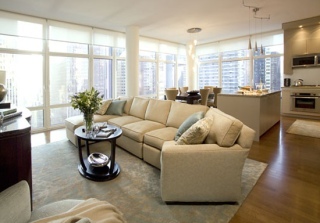 In the center of midtown Manhattan, M Private Residences Orion offers modern furnishings and magnificent views. Entertain family, friends and business associates at High Country Club New York with floor-to-ceiling views of Times Square. Private residence clubs are another home-away-from-home option. The St. Regis Residence Club New York features 22 residences designed by Sills Huniford, within the famed St. Regis Hotel. Revel in a prestigious Upper West Side address and quiet privacy while staying at Phillip's Club at Lincoln Square. If you're seeking a little less room but just as much luxury, privacy and service, check into one of these fine hotels. The Four Seasons is a graciously styled favorite, located between Park and Madison Avenues. The Mandarin Oriental offers a memorable experience with high-rise views of Central park. The Benjamin offers a Dream Dog program for the most pampered pets. At the Jumeirah Essex House, a highly-recognizable feature of the New York skyline, the rooms capture the feeling of the Golden Age of Travel. 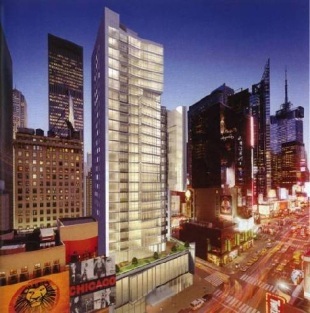 New York is easily the premier shopping destination in the country, if not the world. Bergdorf Goodman, Bloomingdale's, FAO Schwartz, Henri Bendel, and the 15-block long strip of couture shops on Madsion Avenue, including Prada, Hermes, Chanel, Calvin Klein, and Fratelli Rosetti are all favorites of visitors and locals alike. Macy's Herald Square is world famous for their holiday window treatments, but stop by year-round for top-notch fashion and knowledgeable sales staff. SoHo is known as the go-to neighborhood for style and substance. D&G, Agent Provocateur, Marc Jacobs, Louis Vuitton, Prada, Le Corset, Seven New York and Kate Spade all call this hip area home. Grand Central Station is more than just a transportation center. This architectural gem also features some of the best shopping in the city. Get great New York cheesecake at Junior's, then shop Kenneth Cole, L'Occitane, Banana Republic, and Papyrus. Seeking something sparkly? The Tiffany & Co. flagship store is three floors of gorgeous little baubles -- but they do not actually serve breakfast. Directly across the street, Van Cleef & Arpels showcases their signature classic rings in an intimate wood-paneled shop. Rarely a day passes in New York without a parade. Macy's sponsors the most popular, the Thanksgiving Day Parade. St. Patrick's Day, and the Puerto Rican Day parade are some of the most popular -- stake your place out early. The New York City Marathon is another parade of sorts for some. Enjoy the Times Square Fair in May or the dropping of the ball on New Year's Eve. The NYC Expo in June, Great July 4 Festival featuring stunning fireworks and musical acts, Summer Seaport Festival in August, a multitude of film festivals year-round, and various feast days of saints celebrated in Little Italy are all wonderful ways to spend a day or evening. Shakespeare in the Park, a series of free theatrical productions each summer in Central Park, is an exciting way to see both up-and-coming actors plus some of your favorite stars. NYC Restaurant Week is a great way to try out some of the city's hottest eateries. The three-course prix fixe is held every August. Millions of people pass through New York's three main airports each year. Most international flights come in and out of JFK International. LaGuardia Airport handles mostly domestic flights. Newark International Airport, next door in New Jersey, handles both. New York offers hot and humid summers and cold snowy winters. Late summer warmth often continues through the fall season. Each season has its own draw: less crowding and longer daylight hours in the summer, beautiful colors in the fall, holiday sparkle in the winter and total renewal in the spring.